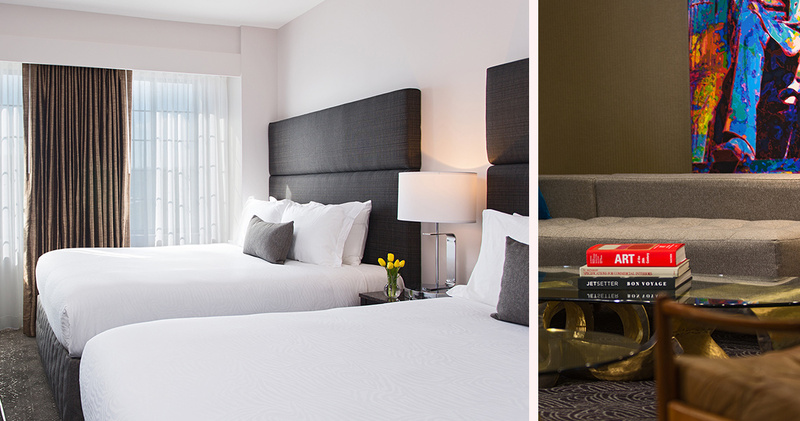 The Carlyle Dupont Circle, A Kimpton Hotel is located conveniently close to Georgetown and the nightlife of Dupont. 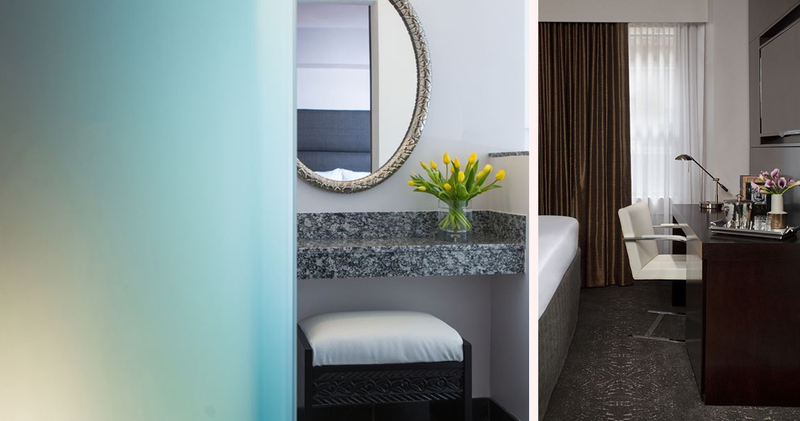 This Art Deco hotel has been revamped to create a stylish, chic look. The lobby is lavish and inviting, featuring a beautifully ornate ceiling, dark hardwood finishes and a black and brown color palette. The hotel hosts a wine hour each evening where guests can socialize and sample fine wines. Hotel Carlyle Dupont Circle also offers guests complimentary public bikes to explore the city or guests can join the hotel’s guided, three-mile city run. 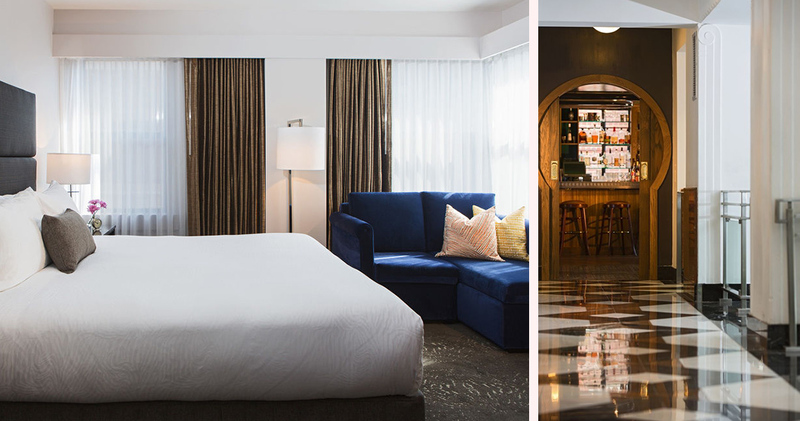 The guestrooms at The Carlyle Dupont Circle, A Kimpton Hotel feature a classic style with modern flair. 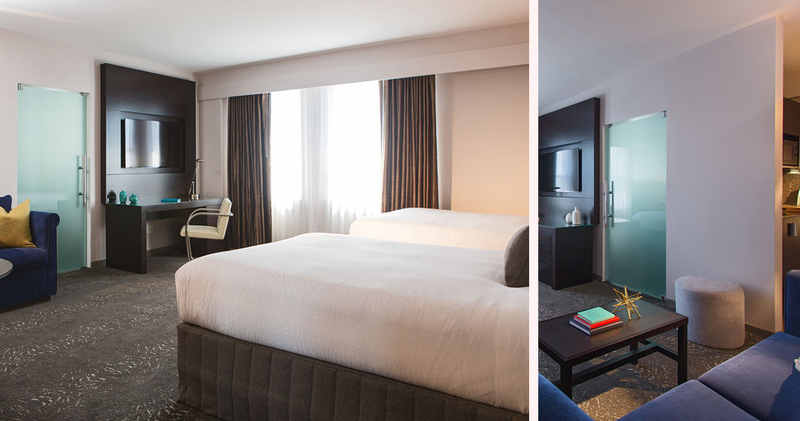 With a touch of 1920s style, these sleek rooms have dark hardwood finishes and clean lines. 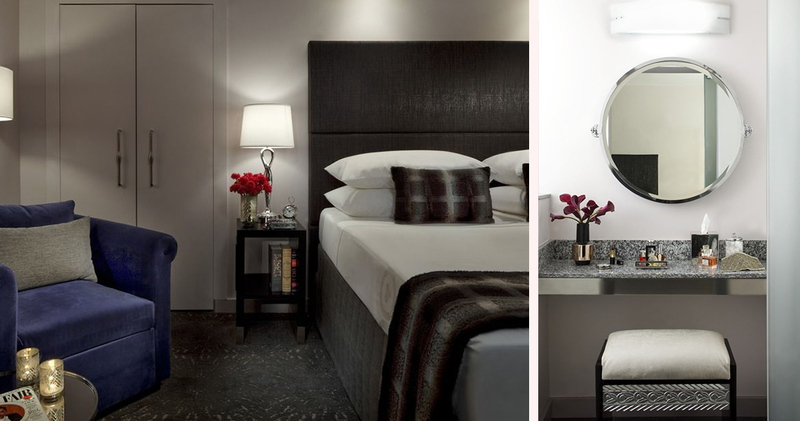 Rooms feature plush furniture, rich textures and hues of grey, white and brown, creating a stylish but classic look. Other features include a hardwood desk, modern desk chair and luxurious navy armchair. 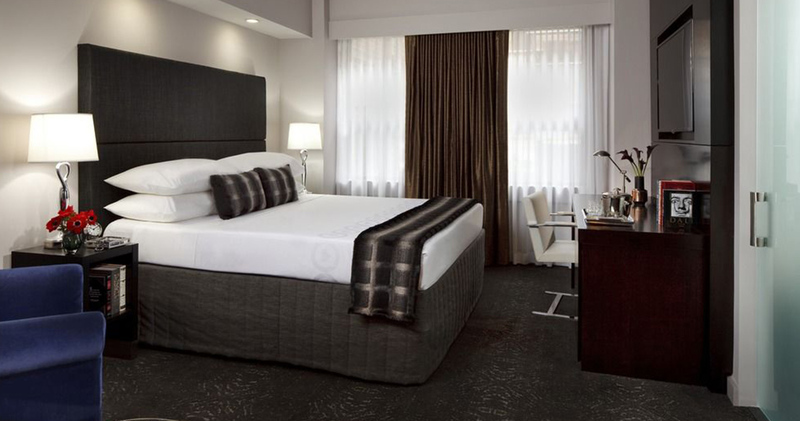 Beds are topped with a comfortable Tempur-Pedic mattress and sleek, chocolate brown headboard. 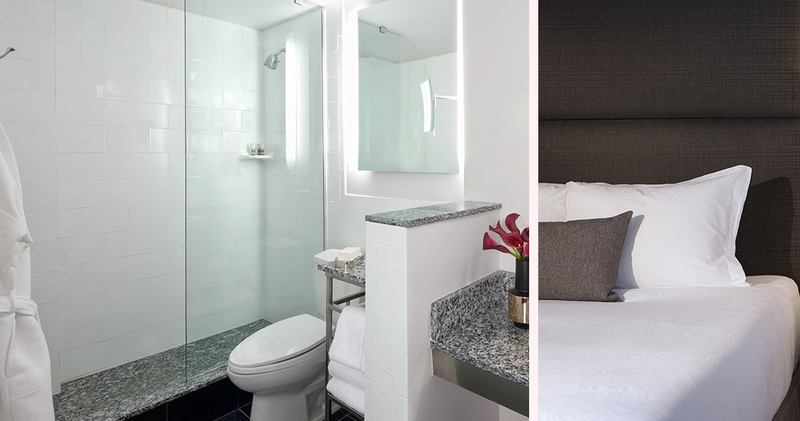 The modern bathrooms feature granite vanities, a walk-in shower and Lush bath products. The Carlyle Dupont Circle, A Kimpton Hotel is home to The Riggsby. This refined restaurant has an intimate atmosphere with leather booths, whimsical wallpaper and an open kitchen. Chef Michael Schlow offers an upscale American menu with European influences.